In my last post I mentioned baking 72 cupcakes in an extremely hungover state, which is admittedly the second best cure to recover from intoxication. These cupcakes are truly a MUST for Nutella lovers. 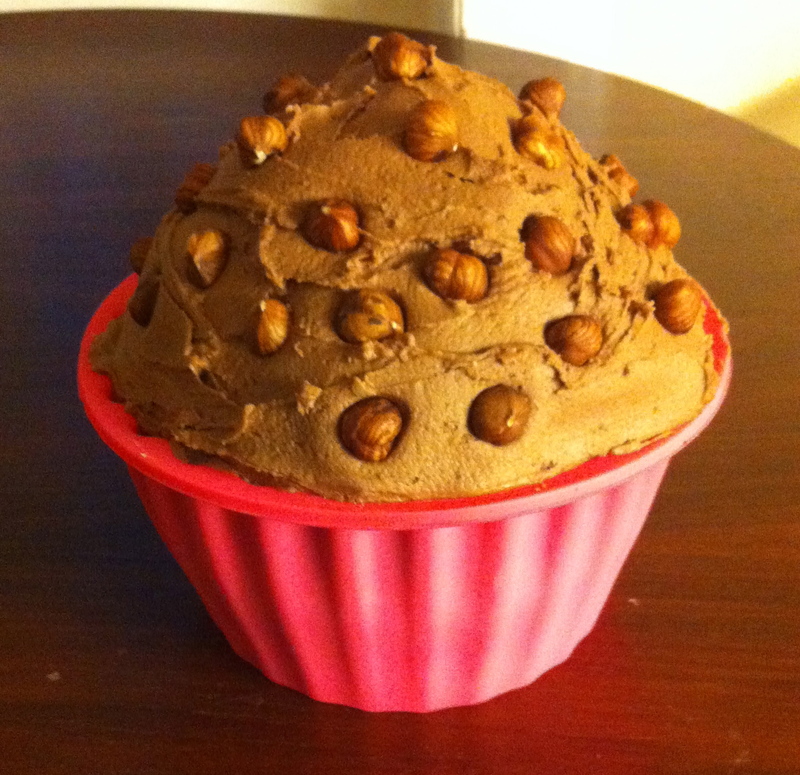 A Nutella filled center and Nutella based icing…. what more can a Nutella monster ask for? A small bonus for all Nutella fans amongst you: check this out. It is even shaped like the jar! Preheat oven to 170 C. Line your tins with paper cases. Mix together flour, cocoa powder, sugar, baking powder, salt and butter until combined. Slowly add the milk and egg and beat well until smooth. Divide the mixture into the paper cases until 2/3 full and bake for about 20 minutes. Let the cupcakes cool on a wire rack. When they have cooled, hollow out a small section in the middle of each one using a teaspoon. Fill the “hole” with a dollop of Nutella. For the frosting beat together the sugar and butter until well mixed. Slowly pour in the milk and stir until its well incorporated and light and fluffy. Stir in the Nutella by hand. Adjust the amounts according to your taste. Once the cupcakes have cooled, frost each generously with your Nutella frosting. 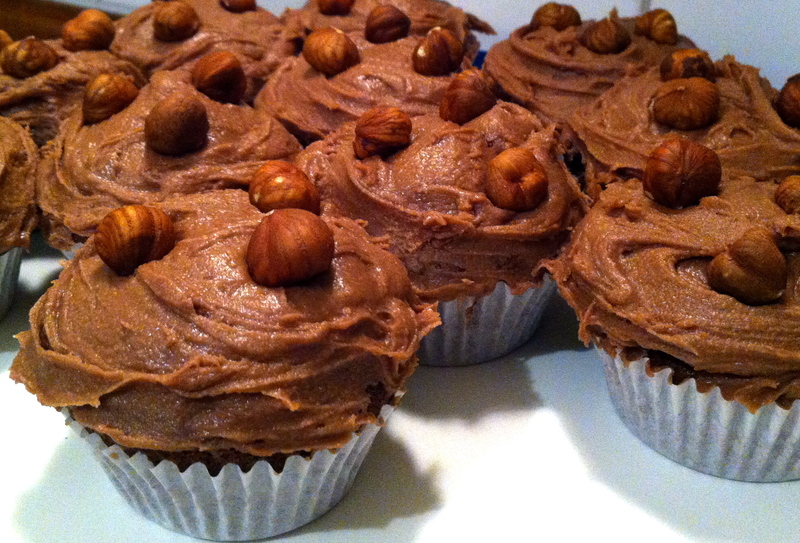 You can decorate them with hazelnuts if you have any lying around in your kitchen. A while back I made one giant Nutella cupcake-cake using the ingredients for 24 cupcakes and maybe just a bit less than 750g of Nutella :-). It was EPIC.